Following graduation from Columbia Law School, where he was a Harlan Fiske Stone Scholar and an Editor of the Columbia Law Review, Mr. Solotaroff clerked for the Hon. Eugene H. Nickerson, United States District Court for the Eastern District of New York. Following the clerkship, Mr. Solotaroff was eager to get in the courtroom and represent those who needed help. He turned down offers from several large corporate firms and accepted a position as a Staff Attorney at the Legal Aid Society, Criminal Defense Division where he worked from 1991 to 1993. He learned how to try cases from the bottom up. In his first trial, he successfully defended a defendant charged with jumping the turnstile in the New York City subway. After winning three other trials in state court, including two felony trials, Mr. Solotaroff joined the Society's Federal Defender Division. As a federal defender, Mr. Solotaroff represented clients in a wide variety of matters including complex white-collar cases. Of the nine clients he represented in criminal trials, six were acquitted and one received a partial acquittal. Mr. Solotaroff entered private practice in 1997. He has continued to represent the underdog focusing mainly on the representation of employees in employment disputes. 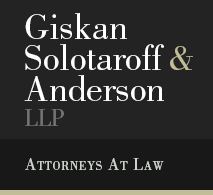 Mr. Solotaroff has successfully represented employees in a wide variety of disputes including breach of contract, discrimination, sexual harassment, retaliation and whistleblower cases. His clients range from highly compensated banking employees, to lawyers and physicians, to teachers and factory workers. Mr. Solotaroff also prosecutes class actions on behalf of large groups of employees with wage and hour and other employment-related claims. Mr. Solotaroff also continues to represent individuals in investigatory and criminal defense matters. Whether representing an employee who has been discriminated against or harassed or defending an individual charged with serious crimes and facing a long prison sentence, Mr. Solotaroff brings a combination of the analytic and communication skills of an Ivy-League trained lawyer with the trial experience, instincts and toughness of an inner city public defender.